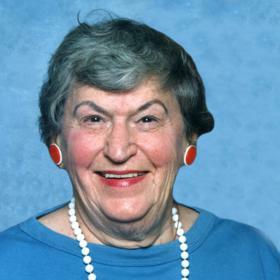 In a life that spanned almost an entire century, Mary Margaret Stein leaves a legacy of 95 years lived to the fullest. She was a vivacious and hardworking woman. Mary would never shy away from speaking her opinion, nor would she ever hide her feminist thinking from the world. Perhaps her best quality, though, was her immense love for family. She will be deeply missed and lovingly remembered by all who knew her. Mary began her life in the year Calvin Coolidge became the 30th president. It was a year in which many other historical events were recorded. With the end of World War I behind it, the country was still seeking to recover, and the economy was struggling to find its stride once again. Inside the homes of many Americans, the sweet sounds of Louis Armstrong were enjoyed, and for the first time, women flaunted one-piece swimsuits in public. 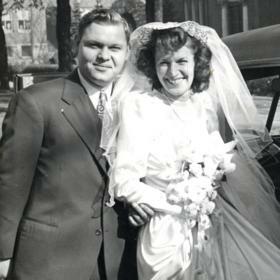 Closer to home, in the city of Grand Rapids, Michigan, Joseph G. Waskelis and Mary Ann Petraukas were about to add a new life to their family. In 1923, on February 2nd, Mary was welcomed into the world. From the very beginning of her life, Mary could never claim to be lonely. Frank, Joseph, and Rita celebrated Mary's 4th spot in the sibling line up. 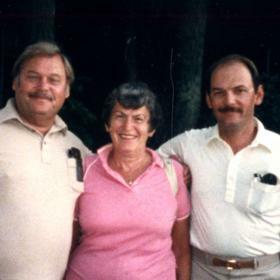 Before long, Mary was joined by Bernee, John, and Ann making the family complete. With 7 children in the home, life was always interesting. Mary's parents worked hard to support their large family. Her father was a steelworker, and her mother stayed quite busy keeping the peace while organizing the family as a homemaker. She spent her childhood years in a home located on Will Avenue on the NW side of Grand Rapids. The family was raised Catholic and straight from their Lithuanian roots. Mary attended St. Peter & Paul Catholic Elementary School where the family also attended church as faithful members. She filled many of her days as a youth hanging out with her friends and looking forward to the next dance at the area hall. There were also warm summer days spent picking delicious raspberries straight from the bushes, helping harvest the family vegetable garden, and tending to the chickens. With the help of her many friends and her siblings, she made many treasured memories as a girl. As Mary matured into a young adult, she celebrated her high school graduation. Seeking some independence, she found a job working at Western Union. 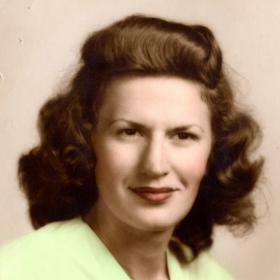 She began her dedicated 40-year career with the company taking telegrams. As she gained more experience, she worked her way up to sales. This afforded her the opportunity to travel all over West Michigan and the Upper Peninsula until she finally retired. While finding her way in the real world as an adult, Mary continued to attend local dances. As fate would have it, she attended just the right one. She met the man she would marry at the local Grange Dance Hall. His name was Leslie Stein. The two fell quickly in love. After realizing it was meant to be, the happy couple celebrated their wedding in August of 1946. Leslie was 27, and Mary was 26. The Sts. Peter and Paul Catholic Church hosted the ceremony, and a reception was enjoyed at a neighborhood hall. They continued to attend dances together and loved swing dancing and Big Band music - even later in life. Leslie worked for the railroad to help support their new life together. The newlyweds moved into an apartment and began their family soon after welcoming a baby boy they named Joseph. About 5 years later, they were blessed with a daughter, Gayle. Their third child, Marianne, was welcomed in 1957 to complete the family. While building their family, they purchased their first home on Hanchett Street NW. They lived there more than a decade before they moved to 1620 Webster in the 1960's. Mary's Catholic faith was always an important part of her life. The family became charter members of St. Anthony of Padua Catholic Church. Mary and Leslie dedicated many hours to the church helping with festivals, fish fry's, and many other parish activities. Mary proudly embraced her Lithuanian heritage. She looked forward to attending the Lithuanian festival at Sts. Peter & Paul Catholic Church and even visited Lithuania several times. Her cooking gave a delectable nod to the heritage too, as she prepared many traditional dishes like kugelis (a potato dish), and a blood sausage also made from potatoes. She fixed up delicious kielbasa, sauerkraut, and golumpki amongst other savory dishes. While raising her family, Mary used her many talents around the home. She loved to sew, and she made outfits and tailored clothes. She used her sewing skills to make curtains and even did some upholstery work. Her natural green thumb provided an impressive harvest from the family garden, and she shared the joy of raspberry picking from her own bushes creating a nostalgic reminder of her own childhood. And though she would say she was an avid morel mushroom hunter in the early spring days of each April, she certainly would never give away her treasured hunting grounds. Throughout the years, the family traveled to several destinations: national parks out west, Canada, Florida, and once even experienced a train adventure to Arizona. As their children grew older, Mary and Leslie had more time to spend together again. The two loved attending tax auctions. They eventually ended up owning many properties which kept them busy. One of the properties included a summer cottage in Emerald Lake where many happy summer memories were made. Mary was great at modernizing these properties with painting, wallpapering, and remodeling. Mary loved to play BINGO and cards of all sorts - especially Euchre, Setback, and Pinochle. She had good luck when visiting the casinos too, as she typically walked away with more in her pockets than when she arrived. Luck was even on her side when scratching lottery tickets! As their children grew into adults to find lives of their own, Mary and Leslie looked to the future. The cold and dreary days of Michigan eventually convinced them to head south for the winters to Ft. Meyers, Florida where they gained many new friends. In time, they joyfully welcomed the gift of 9 grandchildren, 14 great-grandchildren, and one great-great-granddaughter. Together, they also faced difficult times. 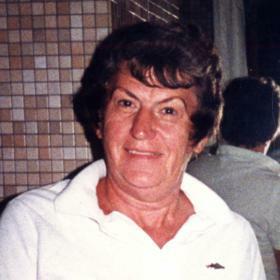 Their beloved son, Joseph, passed away in 1998 at the age of 51. The strength of family ties and their love helped ease the sadness they endured. Later in their lives, they settled into a comfortable pattern. Mary looked forward to her daily reading of the Grand Rapids newspaper (and everyone knew this was not the time to interrupt her). The television provided current insights from around the world with Fox News and the Bill O'Riley Show. Her nightstand contained mostly political novels. She would enjoy a nice glass of wine in the evenings on occasion. A favorite meal included Drakes batter fried Blue Gill. Her sweet tooth craved the remarkable flavors of Jelly Belly jelly beans. Sadly, on September 12, 1999, Leslie passed away.  With the support and love of her family and friends, Mary found some goodness in life again. Along with her strong Catholic faith, she kept the cherished memories of Leslie close to her heart. Mary to be involved with all her grandchildren - attending activities when she was able, but certainly, she never forgot a birthday or special moment. She continued to cheer on her beloved Detroit Tigers in her Emerald Lake home for several years. Mary was not a stranger to human body ailments. She was a two-time survivor of breast cancer. She also broke her hip and was forced to undergo surgery. She moved to The Brook of Newaygo (an assisted living facility) to help aid her in recovery. She made many new friends there and received loving care from the dedicated staff. After 95 years of life, her body's health began to deteriorate. On Sunday, September 9, 2018, Mary passed away. She was comforted by her daughters at her side. 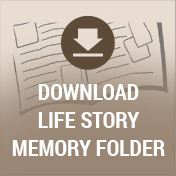 Her long life provides her loved ones with an abundance of memories. As we reflect on our part in Mary's life, may we also find comfort and peace within our hearts. She will never be forgotten.